Y’know how sometimes you do something and save it for later? And then you kind of forget about it? Yeah…. that’s what happened here. 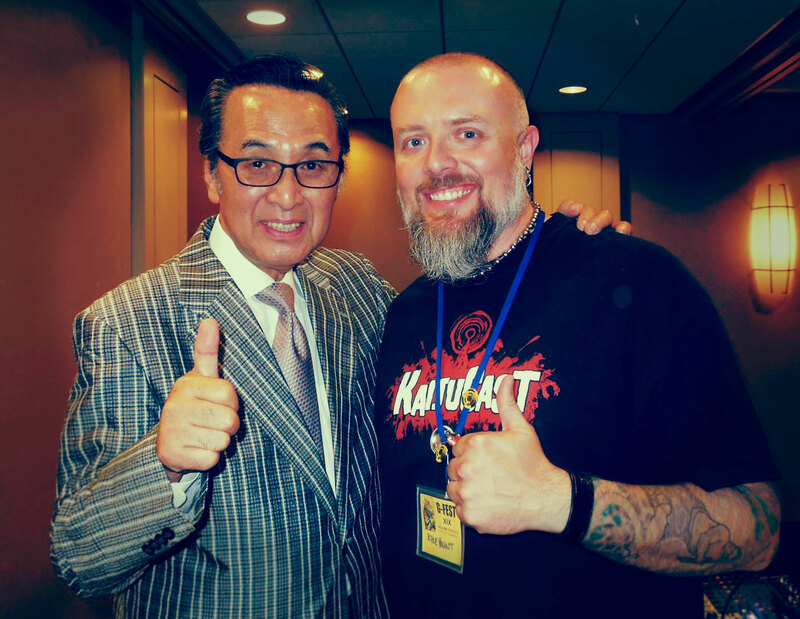 But, thankfully I did remember it and that’s why this episode of the podcast features notable veteran actor Akira Takarada! I explain it all in the intro to the show, so since this is just the written intro to the show, I would like to thank Brett Homenick for offering me the chance to interview a legend in the landscape of giant monsters (hopefully not for the last time), Robert Scott Field for his amazing powers of interpretation during the panel and the organizers of G-Fest for their allowing me to have the panel just before Takarada’s. That being said, I will also apologize in writing to those who had questions for Mr. Takarada. There was no way to add those in without jacking the levels and making those portions pretty unlistenable, so I had to edit those out of this episode. Hopefully I’ll get to do this again at this year’s G-Fest and I can have an audience microphone set up. We did have some pretty cool news and of course, what would an episode of the podcast be without some music? We have completed our commentary for War Of The Gargantuas – Please download, listen and enjoy! As mentioned in the last episode, this month’s focus for our Dakaiju Discussion is the 1957 scifi epic, The Mysterians! Make sure you have your homework turned in before March 23rd to have your thoughts, questions and reviews included in the next episode!